Great food, good drinks - the guacamole made to order is a must!\nNoisy yet inviting. Will definitely come back! The valet service is wonderful and reasonable price wise - weather was iffy the night we went, so it was really nice have no parking worries. \n\nWe had a group of 4-5 arriving at different times. Rocco's accommodated this and seated some of us early. We had a booth - which was very comfortable. \n\nGuac station was a nice touch - made to order, the way the diner wishes. The downtime between food order and delivery was amazingly short. Portions were generous and overall food was delicious. Only suggestion is more meat based offerings on the menu. There were few steak options and I was disappointed that they couldn't do a steak chimi, or add queso on the side when asked. \n\nWait staff - efficient and polite. Anticipated there might be a division of the bill so it was split by food order, but not by total, so still alittle confusing when 2 of us paid by CC and 2 by cash. Offering separate checks up front would have been the better options, but not one suggested. I am not sure he got the tip I left because of how things were split. 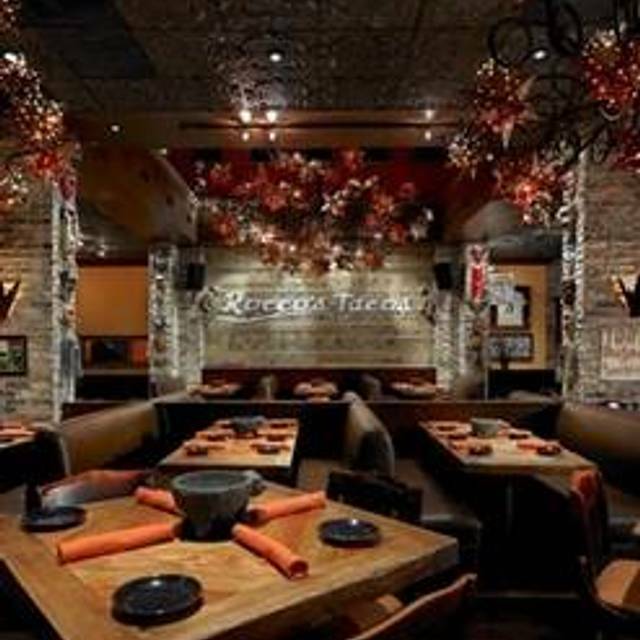 Reserve a table at Rocco's Tacos & Tequila Bar - Fort Lauderdale in Fort Lauderdale on KAYAK. View information about Rocco's Tacos & Tequila Bar - Fort Lauderdale to help decide on what to eat. On KAYAK you can also explore 15 photos and 50 unbiased real reviews about Rocco's Tacos & Tequila Bar - Fort Lauderdale.